Microsoft’s smartphone business may be a flop, but the company is really taking it to Apple in the area of laplets, a new category somewhere between laptops and tablets. It's for devices with a detachable screen to be used as a tablet, but with a bigger screen than your average tablet. According to new research by 1010data, laplets are making big gains this year. The numbers are being released in advance of a full report that is due this week. 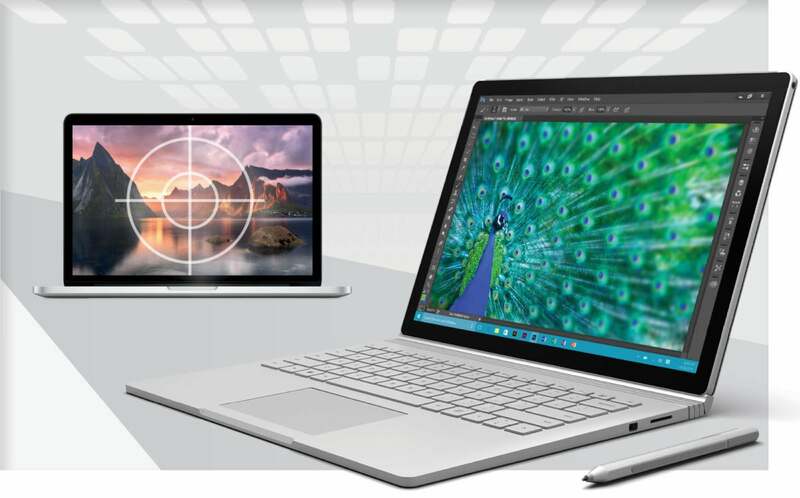 While the Apple iPad is still the dominant tablet at 32.5 percent market share, Microsoft has come on very strong with the Surface Book, which is in second place at 25 percent, up 9 percentage points year over year. After that, it's a fragmented split of Android tablet makers, with Lenovo leading with 10.9 percent and Dell with 9.1 percent. All totaled, Android has 42.5 percent of the market, so it is the top operating system; it's just split among seven vendors. Most interesting is that Samsung is down at a paltry 4.4 percent. Given its dominant position in the smartphone business, it would stand to reason that it would be much higher, but it's being bested by Lenovo, Dell, HP, Amazon and ASUS. The laplet category includes the Surface Book and the Surface Pro 4, which Microsoft released last October, while Apple released the 12.2" iPad Pro in November. In the last quarter, laplets accounted for a whopping 33 percent of sales for the tablet category. This really shoots down the old mindset that large screen tablets had no place in the market. Several years back, IDC predicted next to no market for tablets with a screen larger than 10 inches, while the mass market would go for the 7-inch screen. It turns out IDC missed on both accounts. Seven-inch tablets have suffered due to the rise of phablet phones, with their 5- to 6-inch screens. And despite Windows being free on any device with a screen under 9 inches, the action is with the Surface books and their 13-inch screens. On the e-commerce side, Amazon market and direct have a combined 36.8 percent share, double that of the next vendor, BestBuy.com, at 18.2 percent. Apple and the Microsoft store round out the top five. Costco, the leader in low-cost everything, comes in at a paltry 2.3 percent. I guess people are happy to buy gallon bottles of olive oil but not their technology from the warehouse retailer.